Selena fans have another reason to girl crush with the latest in a long line of merchandise launched in her honor. Forever 21 has debuted “The White Rose” collection in stores and online. It will give fans the opportunity to proudly wear t-shirts, pants, hoodies, and accessories all capturing the spirit of Selena Quintanilla Perez which continues to thrive in the hearts of fans across the world. 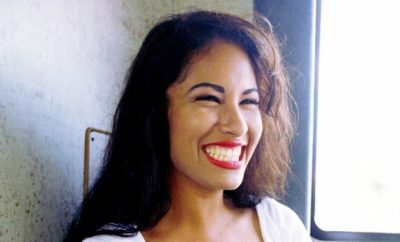 The collection comes on the heels of the 24th anniversary of the Queen of Tejano’s death on March 31 as well as marking the 22nd-anniversary of the film about her life, titled “Selena,” that starred Jennifer Lopez. The apparel line will feature Selena’s iconic image as well as recognizable quotes and song titles. The collection debuted on March 21, 2019, and is a limited edition that will not be restocked. Selena’s sister, Suzette Quintanilla took to her Instagram to give fans a sneak peek of what to expect by sharing her excitement. “Trying super hard to look cooollll in this new Forever 21 X SELENA hoodie! 😂” Suzette will tour a few stores for a meet and greet with the fans, and she’s set to be at the F21 at North Star Mall in San Antonio on April 6! In recent weeks Selena has been very prominent in the hearts and minds of not only fans but artists such as Cardi B, Camilla Cabello, Prince Royce, and Kacey Musgraves. All of these stars paid tribute to the late Tejano singer during their performances at RodeoHouston. Stripes stores also recently debuted two more sought-after Selena cups to add to an impressive collection of memorabilia in Selena’s honor. 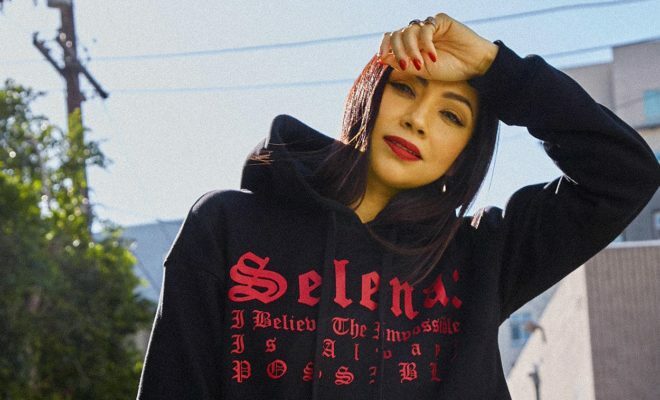 If you haven’t already, shop online or make your way to Forever 21 to grab your favorite Selena apparel before its gone or you just might be singing her beloved song “Dreaming of You” as you watch others sporting their favorite item. 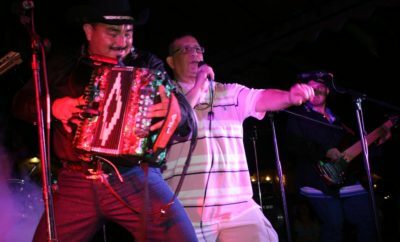 The fifth annual Fiesta de la Flor, which pays homage to the late Tejano singer Selena Quintanilla, is also around the corner on April 12-13 in Corpus Christi. 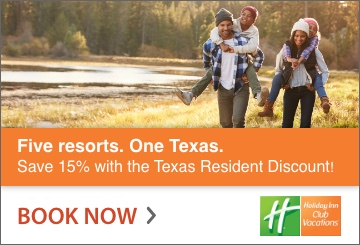 So be sure to mark your calendars for that event and rock your favorite Selena apparel you purchased from Forever 21.